David Levi Osmond is the fourth son of Alan and Suzanne Osmond. He was born on 21 August 1979, making him a young 37 years old. His father is the founder of the original singing group, The Osmond Brothers. He has seven brothers – Michael, Nathan, Douglas, Scott, Jon, Alex, and Tyler. One might say that David Osmond was born with music flowing through his veins. When he was younger, he and three of his siblings – Michael, Nathan, and Douglas – comprised the musical quartet known as the Osmond Boys. Mike Curb, who signed the original Osmond Brothers to their recording contract, decided to make the Osmonds famous once again and signed David and his brothers. They had four songs in the Top 40 in the U.K. and performed to sold-out stadiums and arenas in the U.S., Europe, and Asia. The Osmond Boys worked extensively with the Children's Miracle Network, visiting sick children around the country. They also appeared on several TV shows, such as Good Morning America, and Live with Regis and Kathy Lee. As the boys grew older they changed their name to the Osmonds 2nd Generation and their other brothers became a part of the act and often joined them on stage. The troupe went to Missouri and became featured performers at the Osmond Family Theater in Branson. David not only performed with his brothers but was also a featured solo artist. David also understudied for and eventually replaced his uncle, Donny Osmond, in his role in the musical production of Joseph and the Amazing Technicolor Dreamcoat. He was honored to perform in the touring cast of the show after Donny became ill. He played Joseph in Joseph and the Amazing Technicolor Dreamcoat at the Pittsburg CLO in downtown Pittsburg, Pennsylvania, through 7 June 2009. 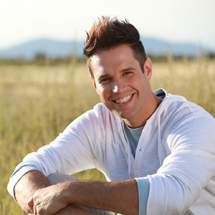 To pursue his music career, David auditioned and performed through Hollywood Week in the eighth season of American Idol in 2009. However, due to laryngitis, he was unable to continue the show. On 1 March 2010, David did a soft release of an album called Reflected, which is available for download on iTunes and samples of the songs are available on YouTube. That was followed by the release of his first album, Road Less Traveled, through Shadow Mountain Records in the summer of 2010. David, like his father Alan, suffers from the autoimmune disease multiple sclerosis (MS). To help him back to the stage, he repeats his father’s saying, "I may have MS, but MS does not have me." As he has overcome his physical challenges, his career has soared. He released an empowering song, "I Can Do This", to share his battle with MS and "to inspire people to do more than simply cope with the disease, and not let their MS define them." To find strength through his music, he writes about his challenges and setbacks. However, he wants his music to encourage and uplift others. "The language of music is universal," David said, "and I hope that listeners share the song so its message may encourage people to draw upon their inner strength to meet life’s challenges head on." Living with MS means that David could end up in a wheelchair again, so he enjoys every moment he can. "People ask me all the time, 'How are you doing?' and I tell them, 'It’s the best day of my life, because I’m still here, on this planet, still breathing.' And he knows "it’s going to be a bright future." David is a member of The Church of Jesus Christ of Latter-day Saints. He served a two-year mission for the Church in Spain. After returning home, he attended Utah Valley University, Brigham Young University, and New York University. During this time, he battled with the West Nile Virus, which led to his Multiple Sclerosis. He pushed forward, despite his illness, to champion the causes of several MS charities. He continues to support MS charities, such as his appearance at the 16th Annual Race to Erase MS event in Los Angeles, California, in May of 2009. David Levi Osmond married the love of his life, Valerie McClain, on 21 April 2007. Together they have two daughters and a son – Saffron Gloria Osmond (8), Azalea Mae Osmond (5), and Everest David Levi Osmond (2). He is the host of the television show Wonderama. This page was last edited on 22 May 2017, at 17:02.